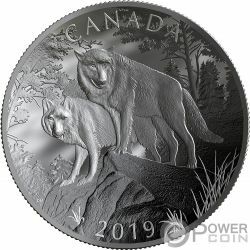 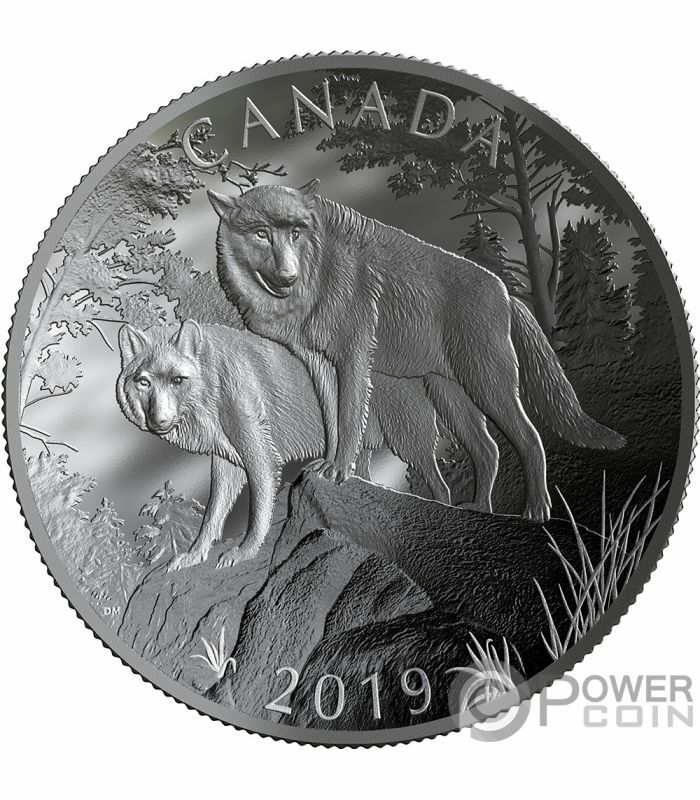 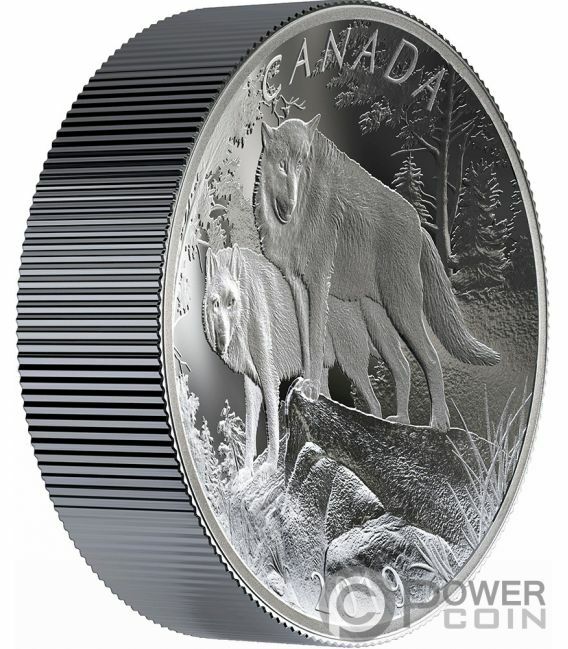 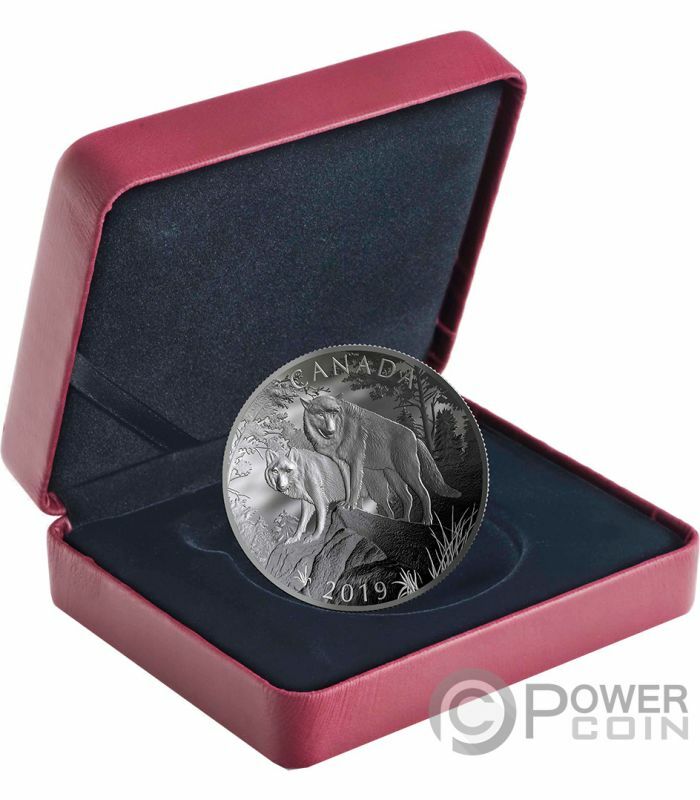 The reverse of the coin was designed by Canadian artist Denis Mayer Jr. and depicts two beautiful wolves on top of a cliff, surrounded by maple trees. 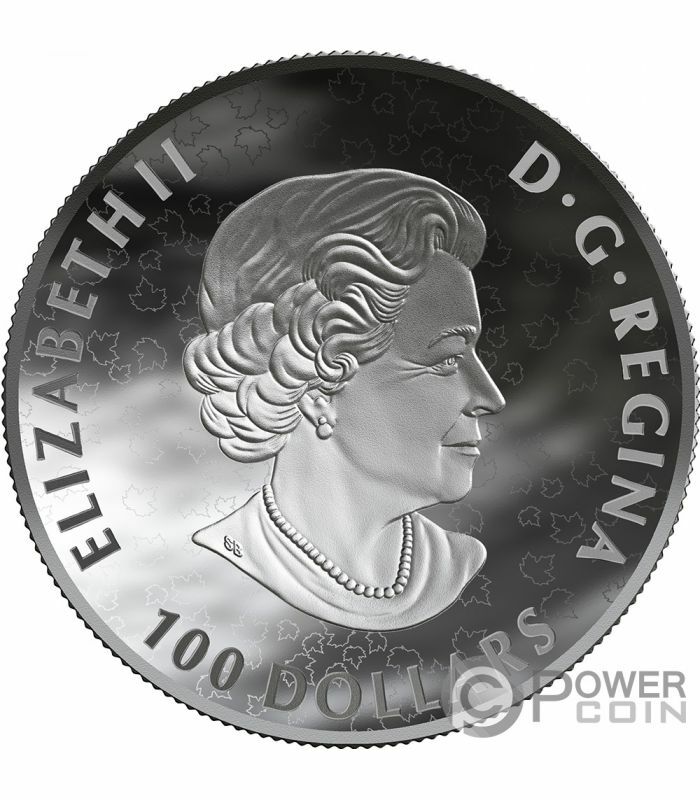 On the top of the reverse, the inscription: "CANADA" - the issuing country. On the bottom part, the inscription: "2019"- the year of issue. 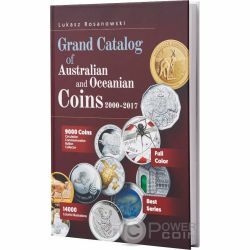 The obverse the coin depicts the effigy of Her Majesty Queen Elizabeth II and the inscriptions: "D-G-REGINA" - Dei Gratia Regina, "100 DOLLARS" - the face value and "ELIZABETH II" - the name of the Queen.